The World AIDS day 2017 has been remarkable in two aspects, one the recognition of Buds of Christ work by the Government of TamilNadu, Salem District on World AIDS Day as Best Performance Award for HIV/AIDS Prevention and Care Services for Children and the other is the leadership the young people have taken in organising the event of World AIDS Day at Salem GH on December 2nd 2017. It is not too easy to tell an adolescent affected by chronic illness to not lose hope, but can live positively. Yes the theme taken up by Buds of Christ to support the universal theme “My Health | My Right” is “WE CAN LIVE WITH HIV". The message was taken forward by the young people who are born with HIV to the younger generation. 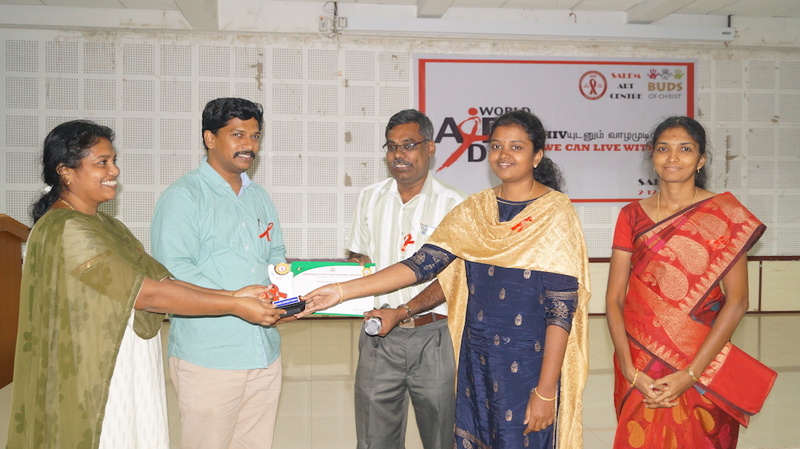 The World AIDS day was commemorated by Buds of Christ on 2nd of December at the Government hospital, Salem District. It was a combined effort of young people affected by HIV from Namakkal and Salem together to organise the event with a focus on children living with HIV. The Chief guest for the meeting was Dr. Arunachalam, Senior Medical Officer of Salem ART centre and District Program Manager of District AIDS Prevention and control unit, Salem. The meeting started with the formal welcome address and the cultural event focusing on the need for confidence despite challenges. Then a presentation of the issues that they had identified in the group and the solution that they have thought of was shared by the youth leaders from Salem. A skit depicting one of the concern, the "self stigma" was shown and how a support group can make a difference was also shared. The Chief guest and the other two doctors also shared the importance of being confident and also expressed their support free from stigma and discrimination. There were two young girls who shared their positive lives to encourage others to lead a quality life. 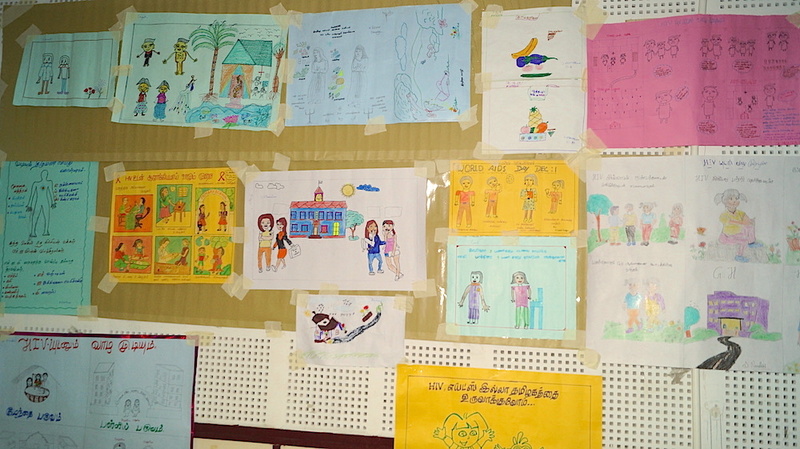 The children who participated in the drawing competition were also rewarded with prizes from the guest. 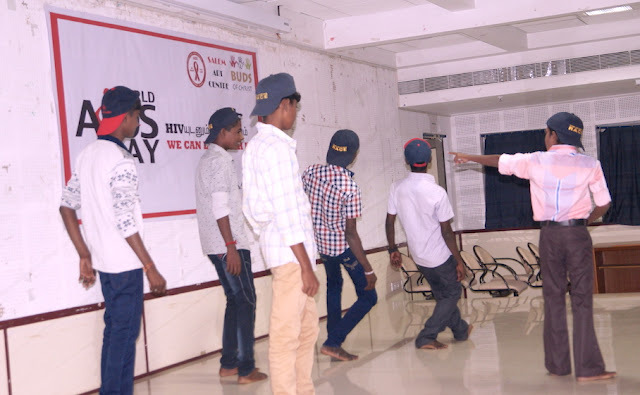 “My son has not spoken anywhere and was surprised to see him presenting the issues, especially in front of the big audience” - a coolie worker mother of a 17 year old boy living with HIV.